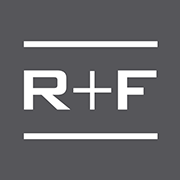 Rodan and Fields Dermatologists Skin Care - Aimee Shirk - Get Involved. Make Friends. Enjoy Motherhood. A MOD Moms business. Rodan + Fields® Dermatologists are changing skin and redefining the future of aging. The company is founded by world-renowned dermatologists Dr. Katie Rodan and Dr. Kathy Fields, the creators of Proactiv® Solution. The multi-med therapy will give you the best skin of your life. Whether you want brighter younger looking skin or want to a wrinkle filler, Rodan and Fields has the solution. Isn’t it time that you got the skin you’ve always wanted so you can feel confident and gorgeous? Through this business I also help women (and men) earn extra income on a part-time basis allowing them to design the life they’ve always wanted, whether it’s to stay home with the kids or fund a shameless shoe habit. Hip hip hooray. Let’s do this! MOD Moms Discount: Become a Preferred Customer (10% off and free shipping) and I will waive your one time enrollment fee. I love referrals! Refer a someone who becomes a Preferred Customer and receive a free full size Essentials product of your choice. Refer someone who joins my team and receive a free regimen of your choice. Join my team and receive $100 a full size business kit or larger.